The Nike Golf Elite Tote Style TG0273 is available to purchase in your choice of Black/Sport Fuchsia or White/Sport Fuchsia. The Elite Tote is available to purchase in your choice of Black/Sport Fuchsia or White/Sport Fuchsia. 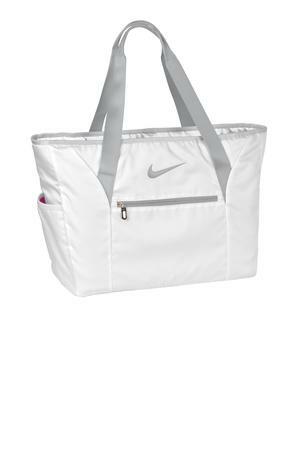 A padded laptop sleeve and ample storage makes this tote all business, but the contrast welded Swoosh design trademark gives it athletic appeal.